Meet your match with this Maria Brown Rex Rabbit Fur Bat Wing Wrap Poncho for women. Genuine Rex rabbit fur is smooth and silky with strips layered horizontally over a knit wool interior for the ultimate warmness. A large Rex rabbit collar features a magnetic closure. The bat wing sleeve is dramatic and gorgeous for a unique look. The brown knit belt is affixed at the back to fasten to your waist and look discreet. A knit interior keeps you cozy. Six snap button closures adorn the front. This design is suitable for sizes up to 3XL. 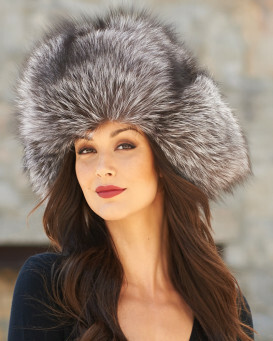 This winter look is gorgeous!